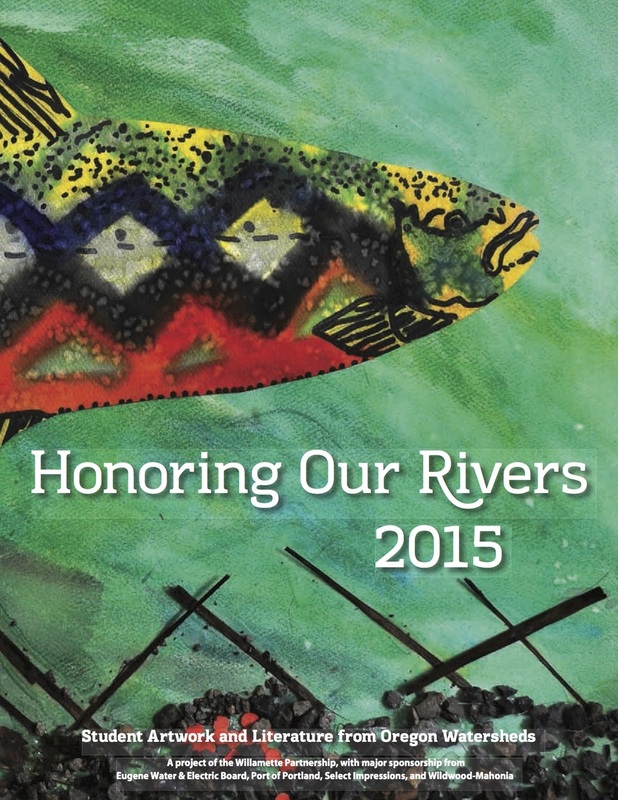 To view Issue #18 of Honoring Our Rivers: A Student Anthology, click on the image to the left. Email the project coordinator if you would like to receive a printed anthology in the mail! Cost is $10 to help us cover print and mailing costs. If the cost is prohibitive, please contact us. We are motivated to make this publication accessible to all. Join us in at the 18th Student Showcase and Anthology Release at Powell’s City of Books Sept. 23! To kick off the reopening of Poet’s Beach, HOR student author Sincere Nathan reads his prose for the news channel. Learn more about Portland’s first urban beach! 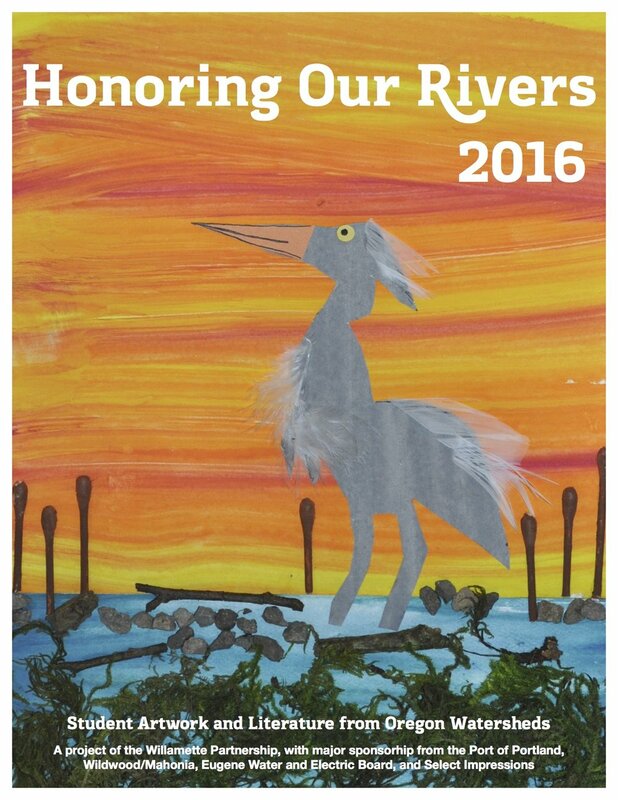 Celebrate Poetry Month and Earth Day events at the same time at the Honoring Our Rivers Student Art & Poetry Exhibition in Lake Oswego April 6-27. See details for event schedule throughout the month! Use these resources to inform educational lessons and writing and art activities related to Honoring Our Rivers's upcoming themed section celebrating the different tribes of the Pacific Northwest and their relationship to rivers. We are excited to announce the sub-theme for our next edition: Celebrating tribes of the Pacific Northwest and their ancestral and present-day relationships to rivers. This weekend students have two exciting opportunities to read their poetry and stories: Salem's River to Ridge Environmental Symposium and Lake Oswego's Peregrine Literary Series. Portland's new, official public beach, Poet's Beach, kicked off yesterday with Mayor Ted Wheeler and others taking a celebratory dip. The beach is named after Honoring Our Rivers student poetry engraved in stones along its path. See pictures and a video from the day. Join Portland Mayor Wheeler and us for a grand opening splash at Portland's first official public beach, Poet's Beach -- named after the student poetry published in the Honoring Our Rivers anthology! Families packed Powell's Books on May 21, 2017, for the annual Honoring Our Rivers Student Showcase. See the young published authors and artists for yourselves. Announcing a NEW submission deadline: Earth Day, April 22, 2018. Here's what you can expect.